In remote areas, in post-conflict countries, it may be difficult to get information from universities or extension agencies, but with a smart phone and an internet connection, anyone can watch videos and learn from them. While conducting an online survey of farmers who had previously registered on the Access Agriculture video platform, I recently had a chance to speak on the phone with some highly innovative people, like Isaac Enoch in South Sudan. Isaac Enoch grew up in a village in what was then the south of Sudan, but the worsening war between the north and south drove his family across the border to Uganda. 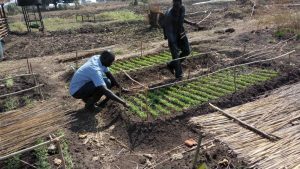 There was little for the kids to do in the refugee camp, so the teenage Isaac and his friends started to grow vegetables in small patches along the river. When Isaac got enough vegetables to fill a bucket he would hand the produce to his mother. He told me how impressed he was when she sold the vegetables in the market and came home with money. She began to buy books and shoes for her children, who had been going barefoot. Isaac says this was his first experience farming as a business. In 2004, Isaac earned a B.Sc. from Makerere University in Kampala, thanks to scholarships for academic excellence which he was awarded from several UN agencies. He worked for several NGOs in the Sudan until he went on to get an M.Sc. from Bangor University in Wales, UK in 2007. After graduating, he went straight back to the south of Sudan, and he was there when the new nation of South Sudan was created in 2011, following 20 years of civil war. Isaac was part of a donor-funded project to promote cassava-growing with farmers, but he recalls that the returning refugees were not taking agriculture very seriously. So he said “I’ll show them how to do it.” He began growing vegetables on his own, before branching out by giving farmers seed, agreeing on a price once the produce was ready then coming back later to buy the vegetables. During this time Isaac was working in a rural area, with lots of land, but then violence broke out between different southern ethnic groups and between armed factions that had once been allies in the liberation movement. In these increasingly unsafe conditions, Isaac moved to Juba, the capital of South Sudan. Land was scarce in Juba, so Isaac started a greenhouse on a small plot. He was not sure how to water his plants. At first he drew on his own imagination, poking holes in soft drink bottles, filling them with water and placing them near the plants. Then he saw how drip irrigation worked in a video on the Access Agriculture website. 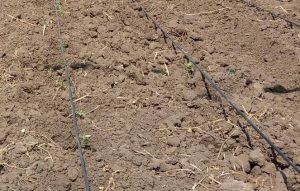 He followed instructions and installed drip irrigation in his greenhouse. In the video, the tanks are filled with hand-carried buckets of water. Isaac was able to fill the tanks with river water, using a small motorized pump. This worked so well that he also began irrigating some land outside of the greenhouse. He covered the soil with mulch, to slow the rate of evaporation, and conserve water, an idea he also got from the video. So much of the food sold in Juba is imported, even the cereals, that anyone who can produce crops locally has a ready market. 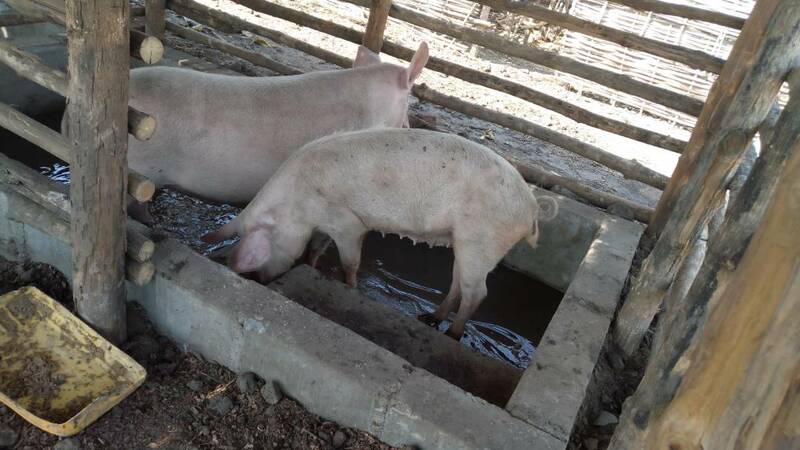 Isaac is now starting a piggery, producing fodder using hydroponics. He learnt about this from a friend, who sent Isaac a link to a video. The original video showed special mechanized trays, but this seemed expensive to Isaac, so he is now growing hydroponic fodder in trays that he designed himself, and made by cutting jerry cans in half. 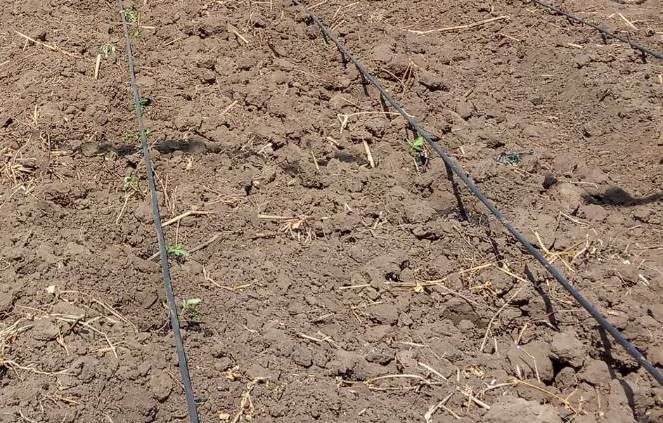 While many projects across Africa have failed to get community groups organized around drip irrigation, access to inspiring training videos can make a difference. Creative, motivated people are able to take ideas from the videos, and adapt them to local circumstances.